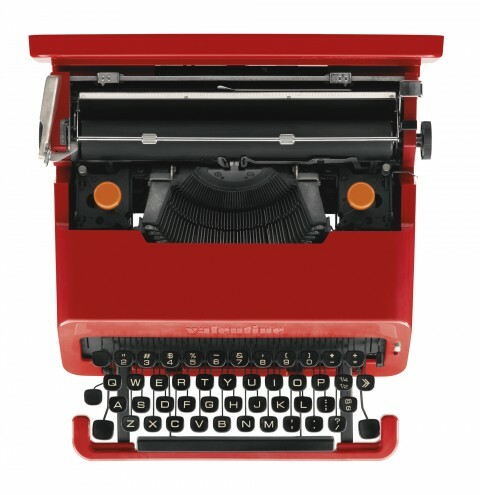 Ettore Sottsass’ Valentine Portable Typewriter design from 1969 makes my heart go pitter patter. What a beauty. Currently for sale over at Sotheby’s for an estimated $15,000-$20,000. An (expensive) beauty. Oh my. And to think that I fell in love with a gorgeous red leather tote yesterday and decided it cost too much! Why, it was a bargain! :) My heart is going pitter patter too. A few skipped beats, too, I think! I think the high price at Sotheby’s has something to do with the RED Charity event. You can get Valentines on eBay in Germany for around 200 – 300 Euros. And yes, very beautiful machine! It has a special place in my small collection of lovely design objects from the 60s and 70s.